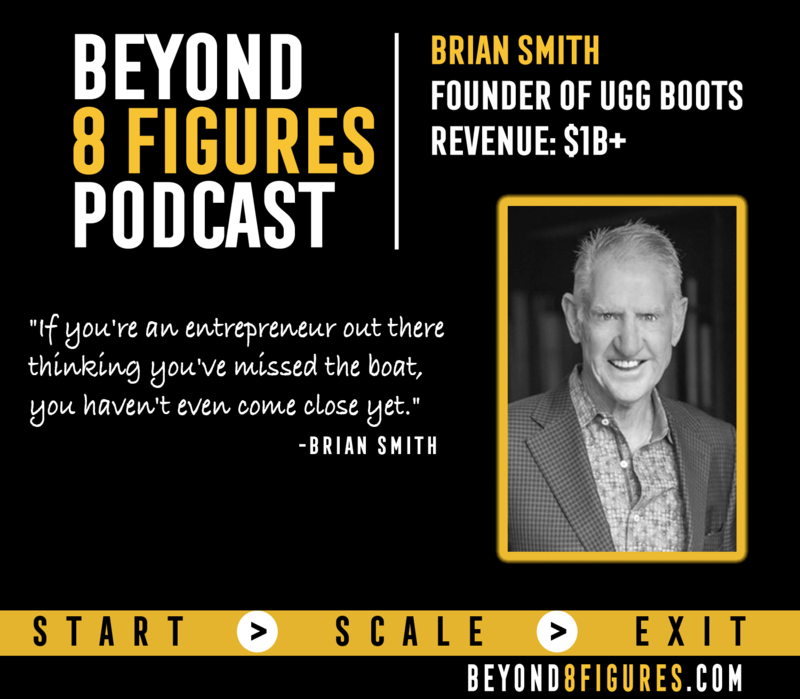 From the beaches of Malibu to a multi-million dollar international business, listen in and learn from Brian Smith as he tells his story of how he founded one of the most well-known brands in shoes. It’s not how big you are that counts…It’s how big you are perceived to be. Bring in employees to take the busyness out of your business and do the tasks that drain you so you can scale your company. About Brian: Brian Smith, Founder of the world famous UGG Australia Brand. Graduating in 1978 as a Chartered Accountant in Australia, Brian came to California looking for the next big opportunity to bring back to Australia. With only $500 in capital, he imported boot samples and over the next seventeen years built the UGG Australia brand into a multi-million dollar international enterprise. He sold in 1995 and the brand has continued to grow to exceed a billion dollars in annual sales for the past six years. Brian is one of the most sought-after International business leaders in the country today. He is committed to teaching entrepreneurs how to leverage their most precious assets from within, and to recognize and pursue their passions to create a fulfilling and successful life. Brian has authored the book “The Birth of a Brand – Launching Your Entrepreneurial Passion and Soul”, is a sought-after Keynote speaker and mentors small business owners.